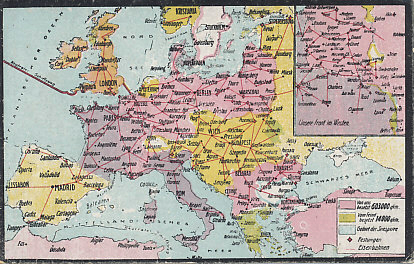 Railroad and occupied territory map of western and central Europe, northern Africa, and Turkey. 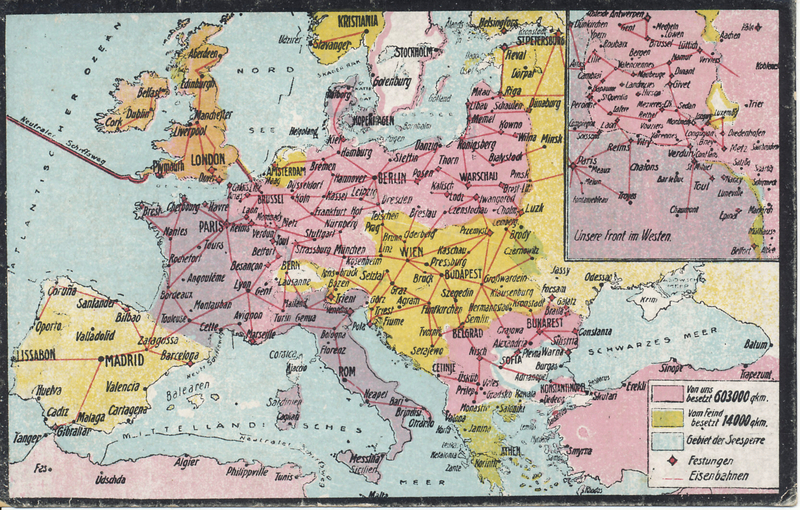 A German postcard map postdating the taking of Riga on the Baltic Sea on September 3, 1917. 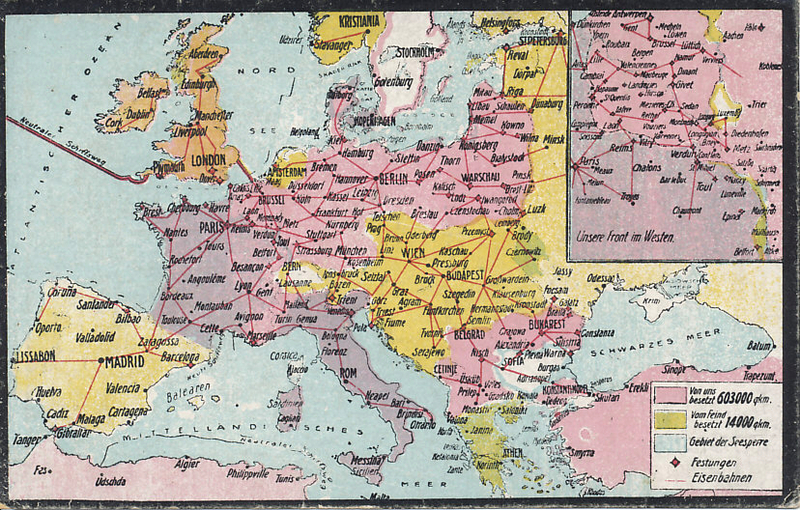 The inset shows the Western Front and French-occupied territory in Alsace, then German Elsass. Von uns besetzt 603000 qkm. Vom Feind besetzt 14000 qkm. We occupy 603,000 square kilometers. The enemy occupies 14,000 square kilometers. Our front in the West. No. 15. Druck u. Verlag v. Felix Grosser, Dresden-A.1. Europe in the World War. No. 15. Printing and Publishing bu Felix Grosser, Dresden A.1.